To continue our series of showroom spotlights, we interviewed our Dallas, Texas Arizona Tile Showroom Manager, Alessandra Andrade who shares how the Dallas team’s commitment to service provides the best experience for their customers. We’re very proud of our customer service being well -known as the best in town. Everyone on our team is committed to working together to provide excellent customer service. We do a great job keeping our displays current and showing off our new materials with inspiring concept boards so our customers can find the right products. They can also visualize the installed appearance of our products with the Just Imagine website. Our Dallas showroom consultants are well -trained to make sure our customers have the best experience with their selections. We offer design consultations with sketches and samples for our customers to easily visualize their selections. I believe having slabs and tile together under one roof helps set us apart from other Tile Stores. We constantly receive compliments about our showroom displays which make us proud of being part of the AZT team. Some people seem to be moving into more cool and neutral tones. We are seeing more gray, cream, taupe, brown and less gold. The Eclipse is getting a lot of attention as well as Misingi (wood look) and Metalwood, Watercolors Stacked Glass and 3D Stack Stone in both honed and split face finish. The Dome series is also very popular with its variety of sizes and pattern options. Everyone loves the H Line ceramic series especially the unique 4x16 size. Porcelain Tile has become even more popular especially with a polished finish, such as Nu Travertine series. For kitchen countertops, we’ve noticed that our customers seem to prefer granite in polished or leather finish before any other option. Clients are using exotic granite selections for the island with solid color throughout the rest of the kitchen. 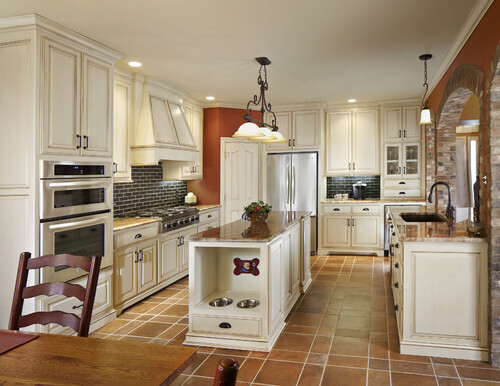 White has been a trend recently, light cream granite or quartz, for example; Macaubus, River White, Alaska, Bianco Antico. 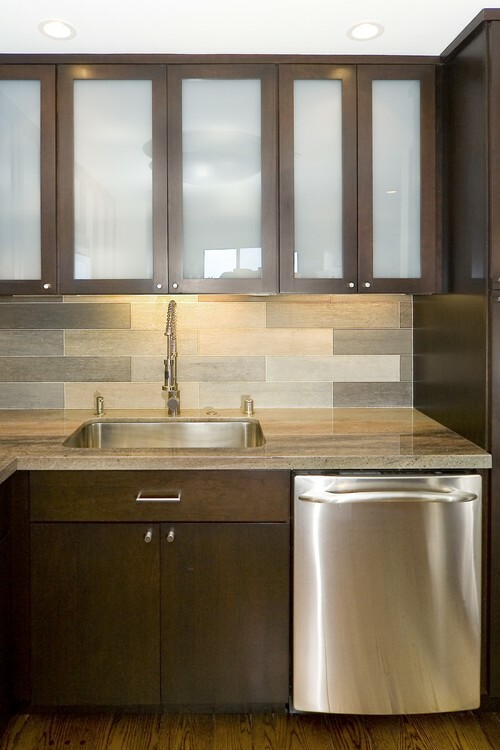 Despite the granite preference we have seen marble becoming popular for kitchen countertops. Bathroom vanity tops on the other hand range from white, cream or brown marble to cream or gray travertine in cross or vein cut. What kind of special orders does your store see? More slab or tile? What kind - porcelain, marble, granite, limestone? I have worked on more Custom Medallions and Custom Mosaics lately than anything else. We have seen interest in Pedralbes -Spanish Terracotta as well as 3x6’s honed travertine or white marble for kitchen backsplash. Bonnie Mittiga received an excellent customer review from Paige Farragut; Vice President, Ticket Sales & Service-Texas Rangers Baseball Club. 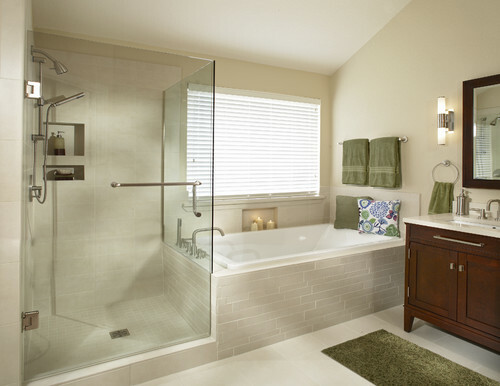 Sandra Torres also received 2 - 5 Star Reviews on Yelp for her design for bathroom projects. I’m receiving nice, complimentary emails from our customers about Brittany Tucker and Aaron Longoria, who both are asked for by name from referrals or return customers. Do you have customer success pictures we can share? Bashams Project (Misingi Suber /White Subway) consultant: Aaron. Burleson’s Project (Madrid red pattern / Rustic gold 2x4 back splash and arch ceiling design) with Showroom Manager Alessandra.